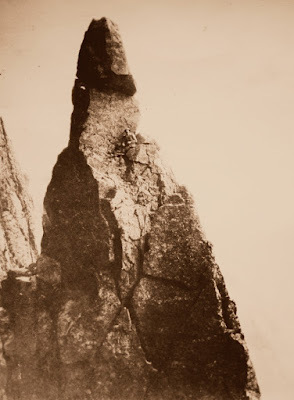 Napes Needle: a rare photo of Haskett Smith posing half way up, taken in 1890 by Edmund, his younger brother. It was found in a box in an attic in Sydney, Australia in the personal effects of Rusty Westmorland. Alone he slew the Monolith. There can be no doubt that Haskett Smith slew the monolith in July 1886, which may have been the major event that was instrumental in turning rock climbing, from a training ground for those aspiring Alpinists who were affluent enough to be able to afford to visit the Alps regularly, so they could be led up mountains by local guides, into what it is widely accepted as today – a sport in its own right in all its current formats and approaches. History tells us, that Haskett Smith made his first visit to Wasdale at the end of July, 1881, when he fell in love with the place immediately, making it his regular haunt for the rest of his life. On his initial visit he stayed with Tom and Annie Tyson at Row Farm guesthouse, but all other visits were spent at the Wastdale Head Inn run by Dan Tyson, (no relation to Tom and Annie). Much has been said about his meeting with Frederick H. Bowring, (then aged 58 – Haskett Smith being 22) but nothing as to why they became very close companions. Similarly, his relationship with Maurice Byles has never been explore, given that it was immediately after Byles’s death in 1921 that Haskett Smith’s behaviour and attitude changed. He no longer cared about his appearance, allowed his health to deteriorate, neglected Trowswell, the family estate he was guardian of, to such an extent that it was demolished in the 1930’s for being in a dilapidated state. It is also interesting to note, that it was from this time that his interest in actual rock climbing all but ceased along with his travels to Europe, which he used to do several times every year with Byles. Eric Greenwood, Haskett Smith, H. Scott Tucker, Gerald West, AN Other,J. Robson, G. Craig, George Seatree and William Brigg. What has to be remembered, is that Haskett Smith [not his real surname – it being plain Smith], came from a wealthy upper class family, who like most families of that era, had ‘skeletons in the cupboard’ – twin sisters (the Smith families first born children in 1854), one of who was placed in a Mental Institution at 13 and never appeared on any family census sheets or even in the family records; Algernon the first born son was a practicing homosexual, who got involved with members of high society including royalty and nobility whilst attending the notorious known homosexual brothel run by a Charles Hammond, at 19 Cleveland Street, just off Tottenham Court Road in London. Before the scandal broke in July 1889, (which precipitated Prince Albert, Duke of Clarence, being sent on a seven-month tour of British India in Sept 1889 in order to avoid the press and subsequent trials), Algernon ‘accidentally’ shot himself in the head whilst cleaning his 12 bore shotgun, prior to going on a hunting trip to Scotland in 1887. Rumours at that time suggested that his death may not have been an accident or even suicide. Fellow barrister, Montague John Druitt, was a friend of Algernon’s, another well-known visitor to 19 Cleveland Street, and who also died by drowning in the River Thames under strange and unexplained circumstances in December 1888, a year after Algernon’s death. It was from this time, that Druitt became a one-time suspect for being ‘Jack the Ripper’! Haskett Smith was interviewed by Scotland Yard in January 1889, regarding what he knew of Druitt’s personal life, for no other reason than (a) Druitt’s association with his older brother Algernon, and (b) both Haskett Smith and Druitt, whilst at different University Colleges at the same time, were members of the same Oxford University debating society, both were athletic and played sports, both were called to the Bar in April 1885 – Haskett Smith on 23rd and Druitt on 29th, and both trained as barristers together. Just after qualifying as a barrister, Haskett Smith received a case in his docket at Lincoln’s Inn from a friend, to act as co-counsel with none other than Druitt. Haskett Smith was far from pleased with this and is known to have refused to take on the case. Indeed, as we now know, he never took on any cases as a barrister throughout his entire life. Historically, writers state unequivocally that it was his solo ascent of the Needle, that opened the door to rock climbing being viewed as a sport in its own right, and as such, place great significance to the event. However, did he and his climbing colleagues of the time, see the same picture as those writers? Given the accolade assigned to him, it is interesting to note, that his contemporaneous note in the Wasdale Hotel book relating to the climb, contained 5 lines which showed no sign of emotion or even achievement. 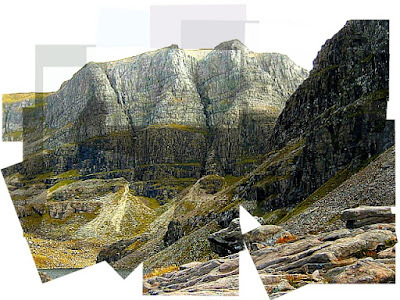 “A fine climb of the arête character may be found in Gable Napes. This arête is the right hand bank of the right hand of the two great gullies which are seen from the hotel and is marked by a peculiar pinnacle at the foot of it. The pinnacle may be recognised (till the next gale of wind) by a handkerchief tied to the top”. Either he was being very modest, or, he did not view the climb as being anything significant. His next article in 1890 in the Pall Mall Budget titled ‘The Napes Needle’, contained 22 lines with a little more detail. But it was 28 years after the event that he actually wrote an article describing the climb in detail! 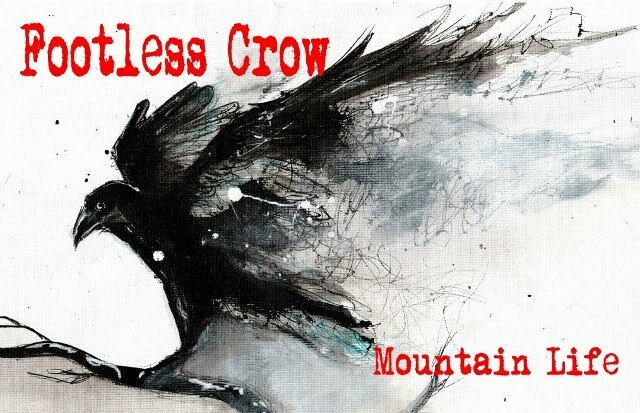 As the initial five-line hotel book article was undated, various dates from June 28th through to July 4th have been given for this historic solo ascent. 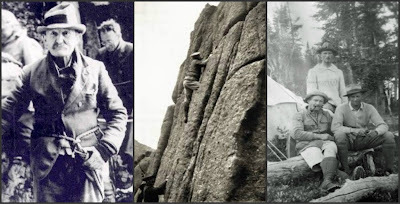 However, as noted above, in 1914, he published in the Fell & Rock Climbing Club Journal, a more comprehensive account of the ascent and combined with some research, we can make certain assumptions as the most likely date of the ascent. Research shows that on June 28th, he was with other climbers making the first ascent of South-East Gully on Great End, (originally known as Robinson’s Gully); on 29th June, he was with Charles Baumgartner, Frederick Bowring, Miss. M. Holderness and John W. Robinson, climbing Slab and Notch climb on Pillar Rock. As the 30th was a wet day, nothing much was done by anyone. On 1st July, along with Baumgartner, Bowring, and Miss Holderness, he climbed Broad Stand and descended via Deep Ghyll. On 2nd July, weather reports from the Meteorological Office records, show that it was a wet day again and as we know that he climbed the Needle on a day when it was hot, it cannot have been this day. According to Haskett Smith’s article in 1914, he had agreed to accompany a group of friends who were leaving the hotel and making for Gosforth, were they were to get transport to the nearest mainline train station. As their luggage was being taken to Gosforth by pony and trap, they decided to walk over the fells so that he could lead them up a climb on Buckbarrow, situated at the bottom end of Wasdale just above Wasdale Hall. We know that 4th July was a Sunday, so as all the locals were avid church goers – Methodists or Chapel, they would not have worked on the Sabbath. Therefore, it is highly likely that they left a day earlier on Saturday 3rd, which happened to be a very warm muggy day and most likely, the day he soloed the Needle. This is of course, pure speculation by the author, but until someone else can come up with a more concrete date? As the Needle did not get its second ascent until 17th March, does this indicate that neither Haskett Smith nor the climbing fraternity of that time, felt the climb was of any value and therefore not worth repeating until 3 years later! The question to be asked is; (a) what happened to cause the sudden rush of ascents in March 1889 when it received its 2nd ascent, continuing through to 24th December, when it received its 10th ascent? (b) similarly, given that Haskett Smith made repeated ascents of many other climbs between 1882 and 1910, why is it that the only repeat ascent of the Needle that appears to be public knowledge, was his 50th anniversary climb in 1936 when in fact, he made two other ascents in between his first and the 1936 climb; his 2nd ascent in 1890 and the 3rd ascent in 1899, both with his younger brother Edmund. It is interesting to note; that all that has been written about Haskett Smith since his death on 11th march 1946, contains the same errors of facts. For instance, they all state that he was born at Trowswell in Cranbourne, Kent, the family estate, when in fact he was born in Bognor Regis. Similarly, most writers state that his first visit to the French Pyrenees was in 1880 with the explorer Count Henry Russell, when in reality, he visited Russell in 1873 when he was aged 14, as his family visited Russell in the French Pyrenean village of Faubourg whilst touring Europe during summer as they did every year. By the end of 1930’s his health had deteriorated to such an extent, that he was barely able to write his signature, and in 1936 at his 50th anniversary ascent of the Needle, he had to be placed in the middle of a rope of three. Whilst a great deal is known about his 50th anniversary climb of the Needle in 1936, very little is known about events that occurred after the climb as it was not made public, let alone the fact that as his eyesight was failing and his hands shook permanently, he was reluctant to drive to Wasdale at the behest of FRCC in order to make the anniversary climb and so asked Graham Wilson (Assistant Ed. Of the FRCC Journal), to accompany him on the drive from Maidenhead to Wasdale on 10th April - Good Friday. After the ascent and the climbing party were returning to the hotel, some of the onlookers decided to climb up Needle Gulley, and in doing so, someone knocked down a stone which struck one of the ladies below on the head. Luckily she was not seriously injured but with hindsight, it was a prelude of what was to follow. At mid-afternoon, news came in of an accident to a climber on Great Gable and so Prof. Robert Samuel Chorley (President of the FRCC and who led Haskett Smith on the anniversary climb), called for eight volunteers to carry up a stretcher and first aid packs to aid the rescue of the stricken climber. It was now 5.45pm and the light was fading, but off they went in the direction of the Needle again. Half-way along the path, the eight volunteers were overtaken by Chorley, carrying another first aid sack, his stamina endless in the extreme. The rescue party were met by another party of walkers who were returning to the hotel, so they turned around when they heard where the rescue party were going, offering to carry the stretchers and first aid sacks. The rescuers tramped past Moses Finger, along the track to Hell Gate where they found the injured climber, a John Murray. The time was 7.30pm and all light had but faded into the darkness of the cold night. It appears, that the injured climber and his companions had decided to down climb unroped, a route called Tophet Bastion when Murray slipped on either wet rock or grass, rolled down across the sloping scree where he sustained some serious injuries. 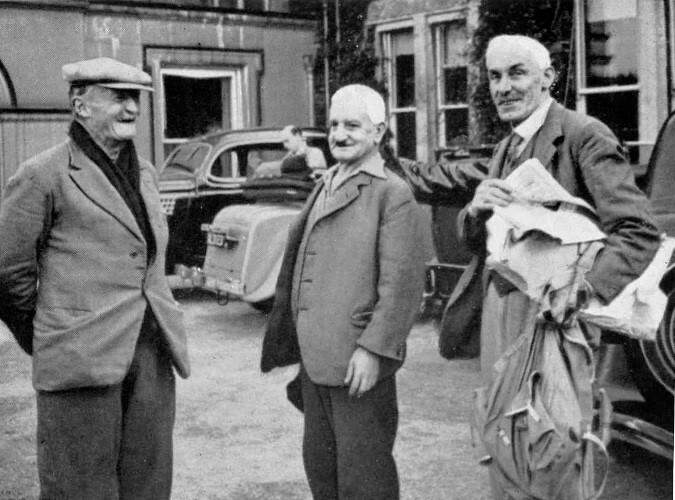 His companions had already applied bandages to his injured limbs and so by 8pm, the rescue party were ready to carry him down to safety back down to the Wasdale Hotel, arriving finally around 10.45pm. Fortunately, one of the hotel guests was a doctor who examined the injured climber, and an hour later, both were in an ambulance off to Whitehaven Hospital. 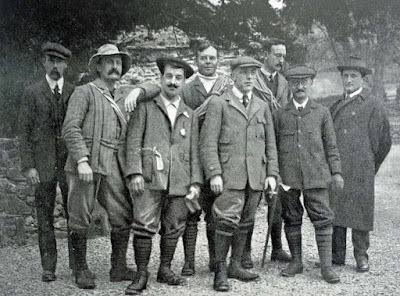 The Hotel had made a meal for the rescuers who spent the evening discussing Haskett Smith’s jubilee climb and the subsequent events. Several days later, it came to light, that Murray, the injured climber, died during an operation to amputate one of his badly crushed legs. A sad ending to a celebratory event! Sadly, Haskett Smith developed dementia in the last few years of his life and died alone in a nursing home in Poole. 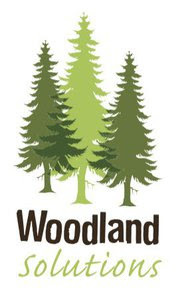 He was buried in the local cemetery and it is interesting to note, that no climbers or members of any of the climbing clubs he was a member of, attended. A sad end to an individual who gave so much. Indeed, between 1886 and 1942, he wrote and had published in excess of 80 articles, including his two climbing guide books – England 1894 (the first ever climbing guide book to be referenced in another book), and Wales and Ireland 1895. He did not complete his third volume – Scotland – due out in 1896, due to poor sales of his first two volumes, negative reviews in Alpine Journal and Climbers’ Club Journal, and on hearing that O. G. Jones was publishing a guide book in 1897. This and the negative reviews, persuaded him not to go ahead with it. It is believed that the manuscript for the Scotland book was destroyed in an air raid in 1945 in London.